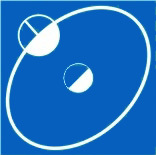 Electron Consortium JSC was established in 1991 and is registered according to the Bulgarian Trade Law. The shareholders of Electron Consortium JSC are companies that produce electronics and radio-equipment. The field of activities of Electron Consortium JSC includes marketing, transfer of technologies and know-how, industrial cooperation, engineering, agency and trade activities in the field of telecommunication, navigation and radar systems, electronics and radio equipment, security systems, production of electronic tools, special and civil equipment, consulting, advertising, establishing new offices and divisions locally and abroad, creating education centers and business schools for training, exchange of specialists and sending work force abroad, representation and agency for local and foreign persons. Electron Consortium JSC has highly-qualified specialists in the field of communication equipment, radars and control systems, which allows the integration of target workgroups for specific orders. Electron Consortium JSC has research and development facilities, equipped with modern measuring equipment, and highly technological production facilities for assembling PCBs. Electron Consortium JSC has a limited license for foreign trade with military goods. You can download a short presentation of the company's activities and products here.